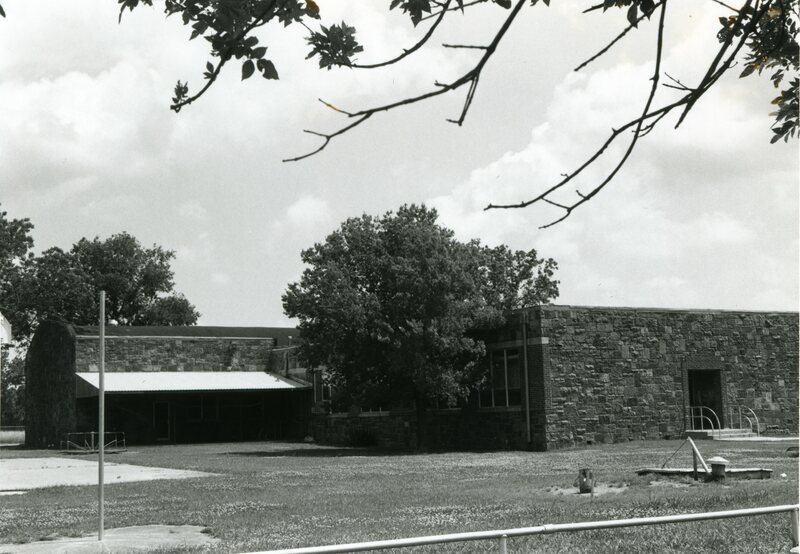 This school and gymnasium combination of eight rooms or more is a single-story, T­shaped (180′ x 87′) structure constructed of cut, uncoursed, native stone of auburn and buff color and red brick. The red brick has been used to make small pilaster strips between the windows. The school roof is flat and the gymnasium’s is arched. Both have parapets. There are three original door openings which are recessed behind square entryways lined in concrete. The entrances are framed by pilasters that give the building an art deco flavor. Most of the window placement is by threes. Many of the metal encased window panes have been filled in from the inside. 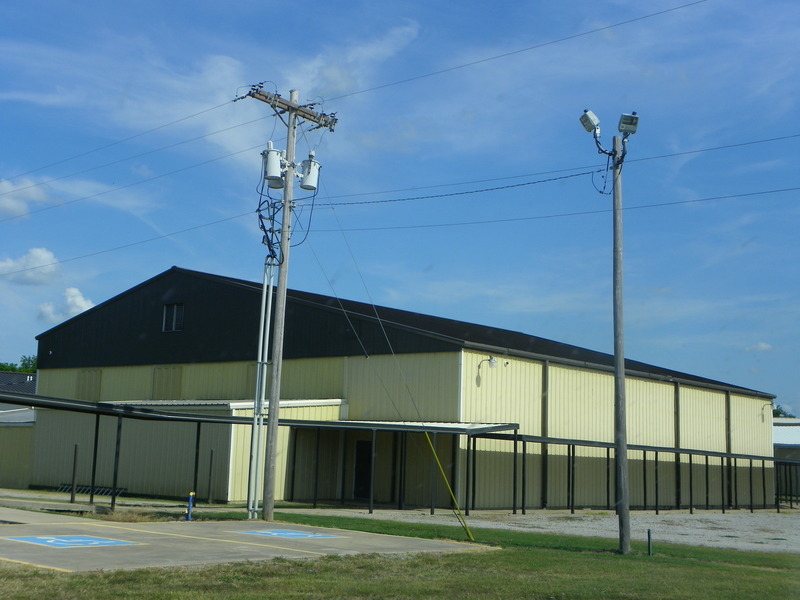 The gymnasium has a rain shelter attached to it on the south side. These alterations do not impeach the integrity of the structure. This structure is unique within this part of the county in terms of type, style, scale, materials, and workmanship. Construction of this WPA project created a new environment conducive to learning for children in this rural and remote area. 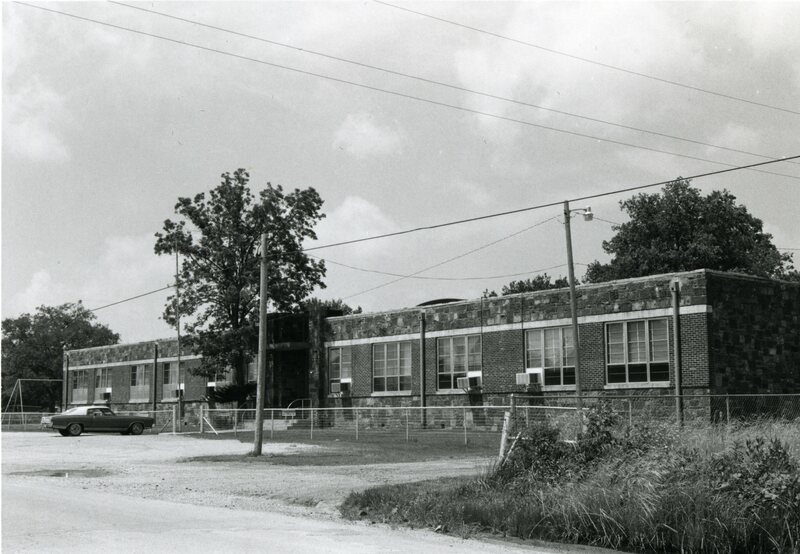 It also gave employment to unskilled and unemployed workers desperately in need of some type of economic security, while the project enabled the infusion of wages of some 20,000 man-hours of labor into the local community, helping to blunt the impact of the depression. VERBAL BOUNDARY DESCRIPTION: Beginning at the southeast corner of the NE 1/4, NE 1/4 of Sec. 29, T 15 N, R. 14 E, go 416 feet north, 208 feet west, 416 feet south, and 208 feet east.